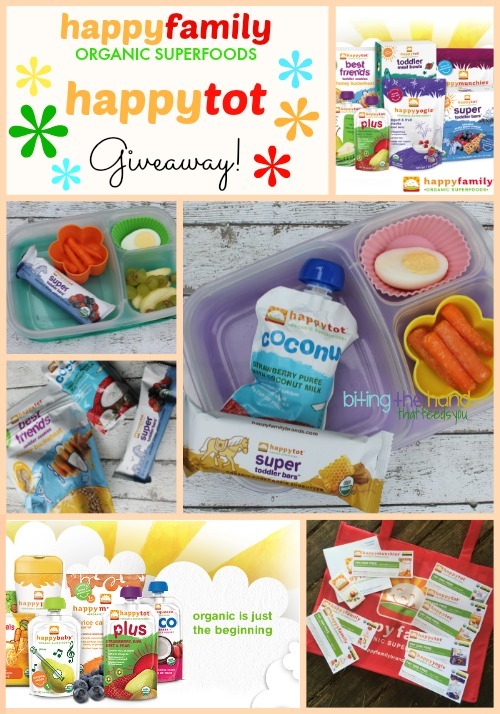 Biting The Hand That Feeds You: Happy Family - Happy Tot Giveaway! 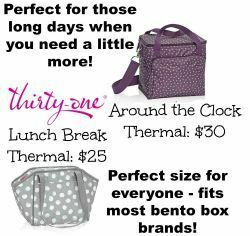 Happy Family - Happy Tot Giveaway! 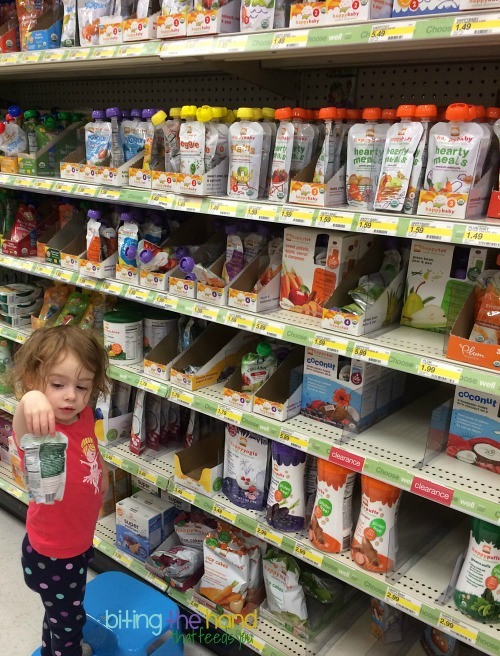 I have always loved the HappyFamily brand of baby and toddler foods and snacks. I try and buy organic when I can, and all of their products are organic. Always. Which means there are no artificial colors, flavors, preservatives, sugars, or any other frankenfood-junk in there. 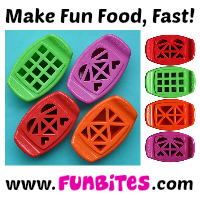 They also have many items that are gluten-free or contain no gluten ingredients, and dairy-free as well. I had no problem finding plenty of items my whole "happy family" could enjoy! Target has the best selection of HappyFamily brand foods that I've found near us (even better than Babies R Us!) so the toddler and I went there. And they usually have one or two items on clearance whenever I go, for even better deals! Woop! 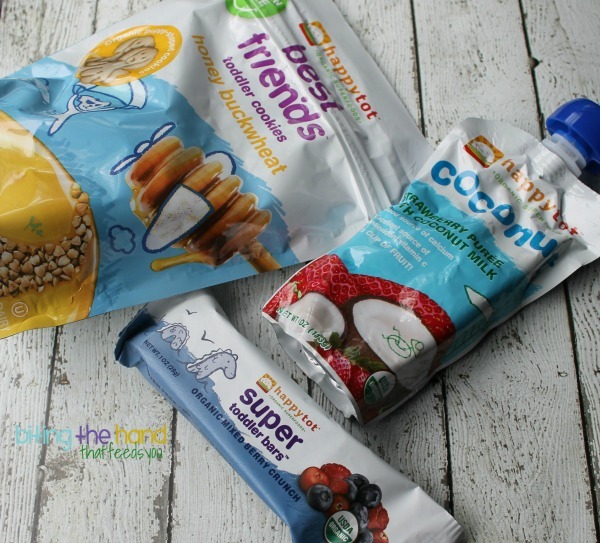 The HappyTot snacks have also been a great addition to our dye-gluten-dairy-free pantry just in general. 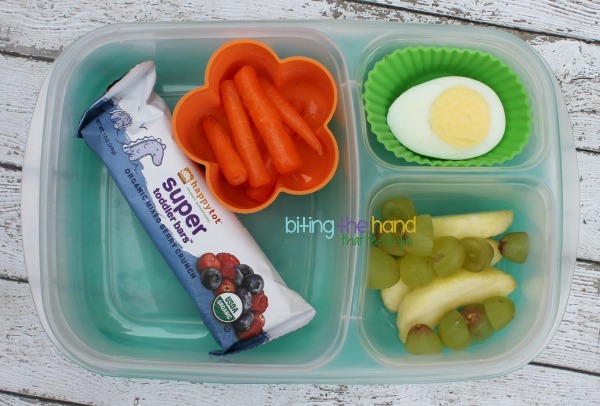 Mama has a lot of quick and "safe" grab-and-go options for other excursions as well; like a day at my sister's, a trip to the zoo, dropping the toddler off at Grandma's, etc. 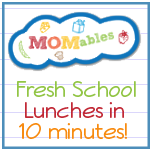 And even the occasional lazy-Mama-day last-minute lunches! 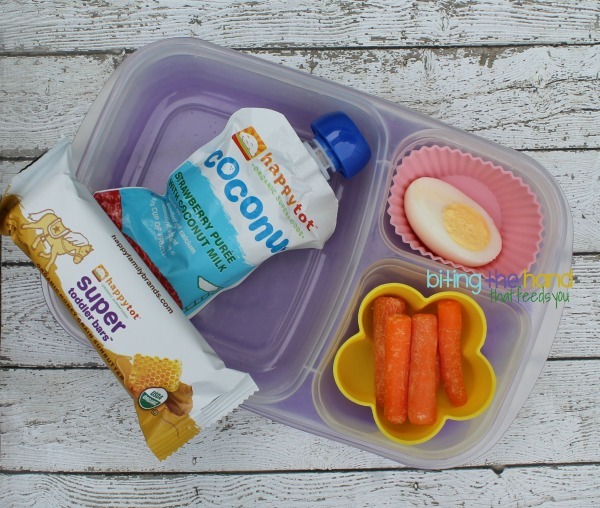 You don't need to be a toddler to enjoy these snacks - my big girl loves them even more than my toddler! For her, I had put the HappyTot Coconut Strawberry Puree in the freezer the night before (in the lunch box, so it could freeze to fit!) and pulled it out in the morning to let it start to thaw, so it would be the perfect slushy consistency by lunch. It was a big hit! Since the little one would be eating in the car, I didn't trust her with a pouch. She does okay if Big Sis is back there to take the pouch away when she's done. But otherwise I find it squirted all over the back seat. So she got fresh fruit instead! The HappyTot care package I was sent was truly awesome, and we are still going through all the snacks months later! But don't get too jealous - you have a chance to get one too! 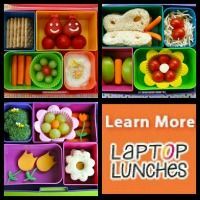 The winner will receive coupons for an assortment of HappyTot products, including one of the Toddler Meal Bowls (found one without gluten or dairy ingredients,) a Morning Yogurt breakfast smoothie pouch, Happy Munchies, Best Friend Toddler Cookies, Happy Yogis, Toddler Bars, and some puree pouches! Open to US residents only, and if I draw a winner and your entry was to follow or like a page and you aren't still following at the time of winner selection, I'm going to re-draw. Very nice! We haven't tried this brand yet! My baby is starting solids now!